Up a set and a break against Tommy Paul in the US Open boys championship match Sunday afternoon, Taylor Fritz certainly was not happy when rain drenched the USTA Billie Jean King National Tennis Center, causing a three-hour delay. When play resumed, with darkness settling over court 17, Fritz no longer had the advantage his serve had provided him earlier, and he failed to serve out the match at 5-4 in the second set. Yet the 17-year-old from Rancho Santa Fe wouldn't let himself give up on his last chance at a junior slam title, regrouping to take a 6-2, 6-7(4), 6-2 victory. After Paul had saved a match point serving at 3-5 down, he completely eliminated his unforced errors and no amount of pace from Fritz, who prides himself on ending points quickly, could rattle him. Fritz only got two of eight first serves in when serving for the match at 6-2, 5-4, and Paul was too steady in the long rallies that followed Fritz's second serves. "That was pretty much the game plan," Paul said, telling himself he had to make more balls yet play aggressively when he returned from the rain delay. "I felt when I was in the long rallies I usually won most of those points. Long rallies usually I think would go in my favor, because he's more of a big hitter and likes to play quicker points." Fritz was so frustrated by Paul's level at the end of the second set that he yelled "he's impossible to beat." "I felt like there was absolutely nothing I could do for some of those points," said Fritz, who had lost to Paul in the French Open boys final 7-6(4), 2-6, 6-2. "I played them so well and I thought, wow, if he can keep doing this, I just don't see any chance of me winning, because I just couldn't put a ball away. And I'm thinking to myself, the thing I do best is strike the ball and hit big shots, and I could not put the ball away. How would anyone put the ball away on him?" Paul continued to play error-free tennis to open the third set, breaking Fritz in the first game, but he could not consolidate the break. Two good Fritz returns at 40-30 gave him a break point and a rare unforced error by Paul gave Fritz the break, and Fritz got another in the fourth game, with Paul failing to close out the game from 40-15. After Fritz held for a 4-1 lead, with some outstanding serving, which had been absent at the end of the second set and the beginning of the third, Paul requested a medical timeout. His right shoulder was worked on briefly by the trainer, but the delay was brief. Paul held for 4-2 and Fritz saved two break points in the next game, hitting a second serve ace to keep his lead. After failing to serve out the match in the second set, he was no doubt relieved not to face that challenge again, as he broke Paul at love to claim his first junior slam championship. Fritz agreed there was an element of relief in reaching the goal that he had set for himself and publicly acknowledged. "It's crazy. You know, I wanted it so bad just because I wanted to win a junior slam so bad," said Fritz, who has been the ITF's top-ranked junior since reaching the French Open boys final. "I was just thinking it's not going to be easy because I have one chance to do it. When you want something so bad and there is just one last chance, there is a lot of nerves, and, you know, anything can happen." Paul said the outcome in this match, after his two wins over Fritz on red clay this year, was not entirely unexpected. "All three of the matches were good matches. All three were three sets, so all three were pretty close. I don't think there was that much of a difference. Maybe in the third he won a couple of big points at 1-0, 1-0 me, and then 1-all he won a couple big points and got a little more confident and it went his way a little bit more." 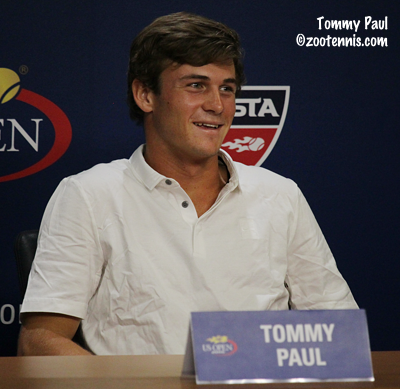 Paul is scheduled to play in the $50,000 Cary Challenger on Tuesday, but is not sure if his shoulder will allow it. He has played his last junior match, and is now looking forward to building his ATP ranking, but he reflected on his summer in the juniors. "I got to play the three main slams I really wanted to play," said the 18-year-old from Greenville, North Carolina, who qualified for the main draw of the men's tournament, meaning his New York stay spanned three weeks. "It was awesome to have such a good Roland Garros. Then to go and get some experience on the grass, that was fun. I really think I improved a lot on the grass. It was really helpful for me to go over there. I think I learned a lot and did a lot better on the grass. "Here obviously I played to come out and have fun at the US Open, have fun with the home crowd. I felt I had a lot of fun out here. I was really happy with my tournament." Fritz has yet to decide if he'll play any more junior tournaments to assure himself of the year-end ITF junior ranking. "I'm going to have to check on rankings, whatever, because it would be a shame to do all this and not finish 1," said Fritz, who is playing the upcoming Northern California ATP Challengers but will then take time off for a fitness training block. "Hopefully this can be the end for me, because this is the perfect ending to the junior career. So hopefully this can be the last one is what I'm saying. I can't believe I actually got the perfect ending." 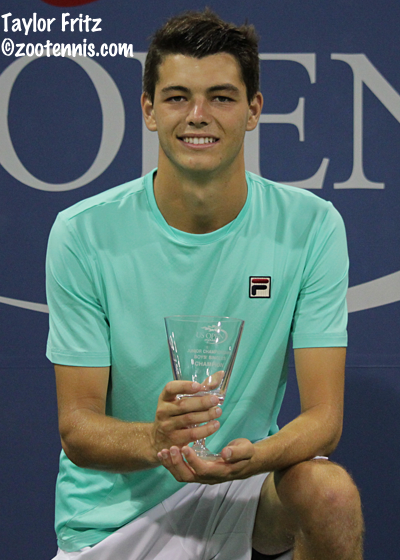 With Paul's title at the French Open, Reilly Opelka's title at Wimbledon and now Fritz's title at the US Open, it's the first time that three different US boys have won junior slam singles championships in the same year. 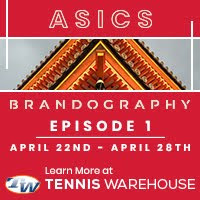 The boys doubles final, also disrupted by rain, was won by the unseeded Canadian team of Felix Auger Aliassime and Denis Shapovalov, who defeated the wild card team of Brandon Holt and Riley Smith of the United States 7-5, 7-6(3). Auger Aliassime and Shapovalov trailed 3-5 in the second set when the rain came, but they broke Smith when play resumed to get back on serve. The Canadians saved a set point on a deciding point with Shapovalov serving at 4-5, with Auger Aliassime sticking a backhand volley. In the subsequent tiebreaker, the Canadians took a 5-1 lead, and closed it out with no further drama. 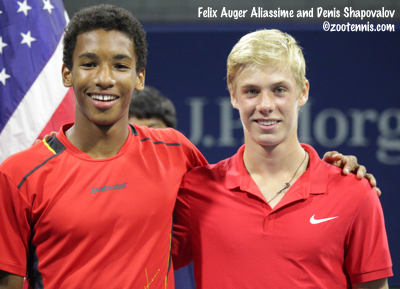 The 15-year-old Auger Aliassime and the 16-year-old Shapovalov are the first all-Canadian team to win a US Open boys doubles title. 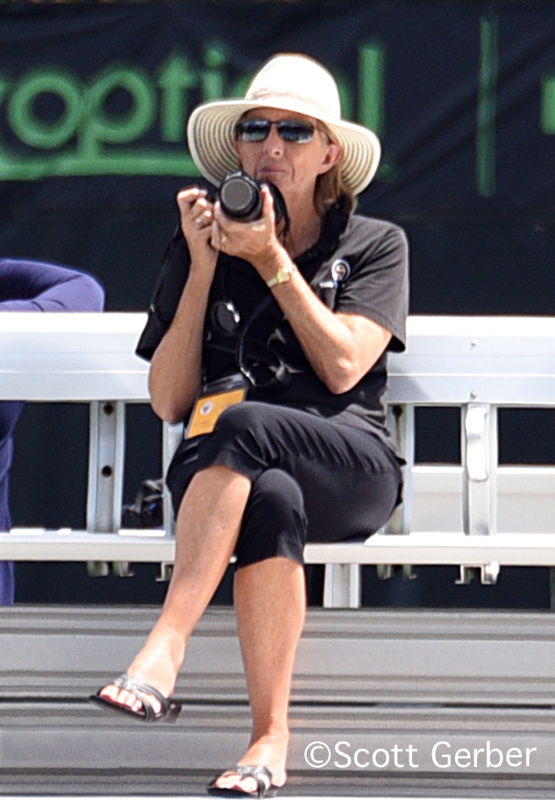 Jocelyn Robichaud, now a development coach at Tennis Canada, won the 1995 boys doubles title with Korea's Jong-Min Lee. The complete junior draws can be found at usopen.org.